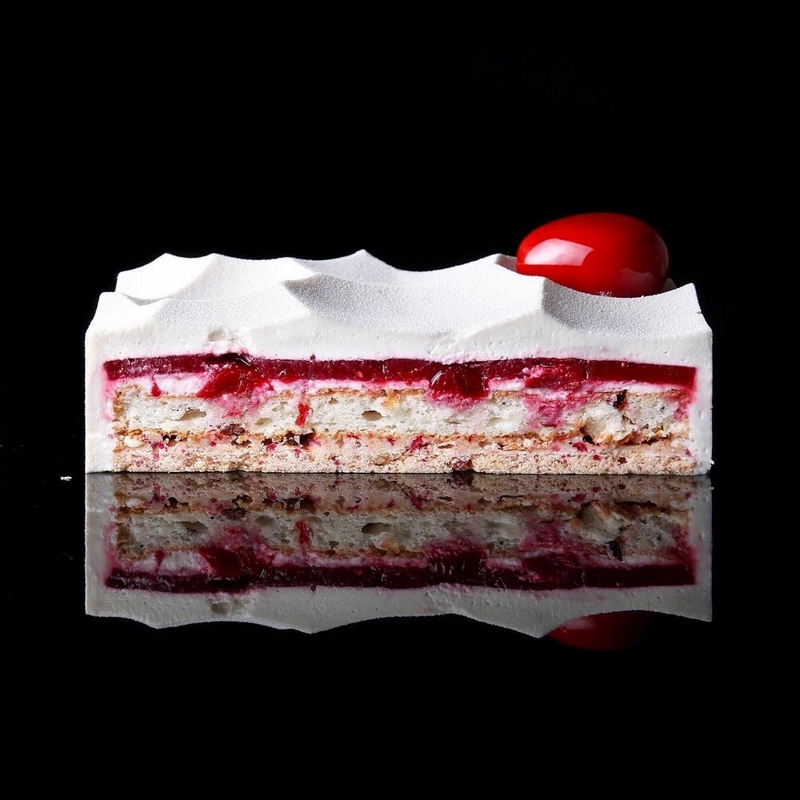 HomeBlogVariousArchitectural Pastry by Dinara Kasko. 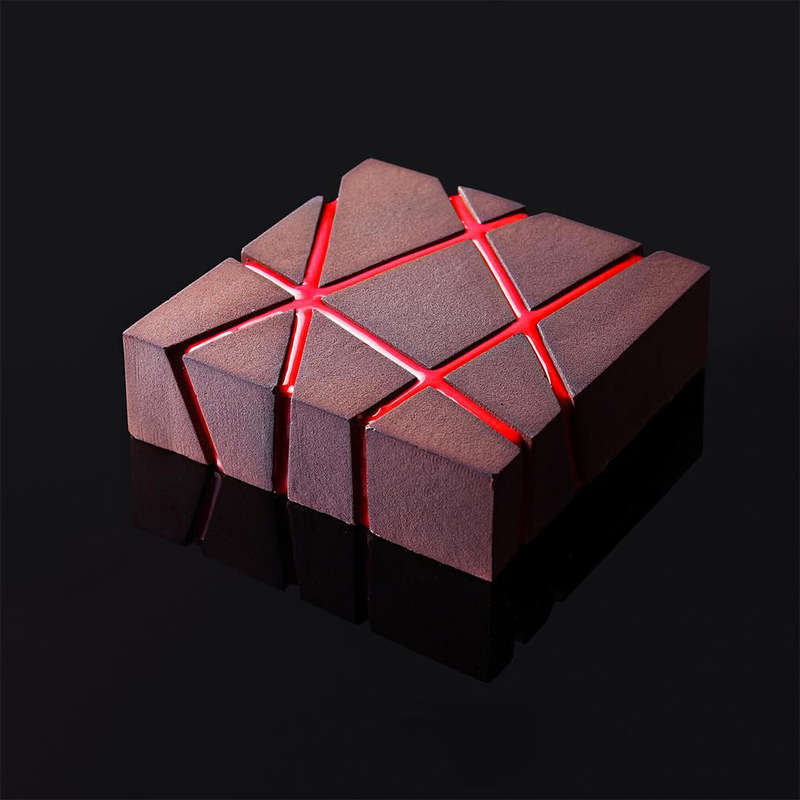 Dinara Kasko is not your average baker, she is also an architectural designer using her skills to come up with cake designs that stand out in a spectacular way. 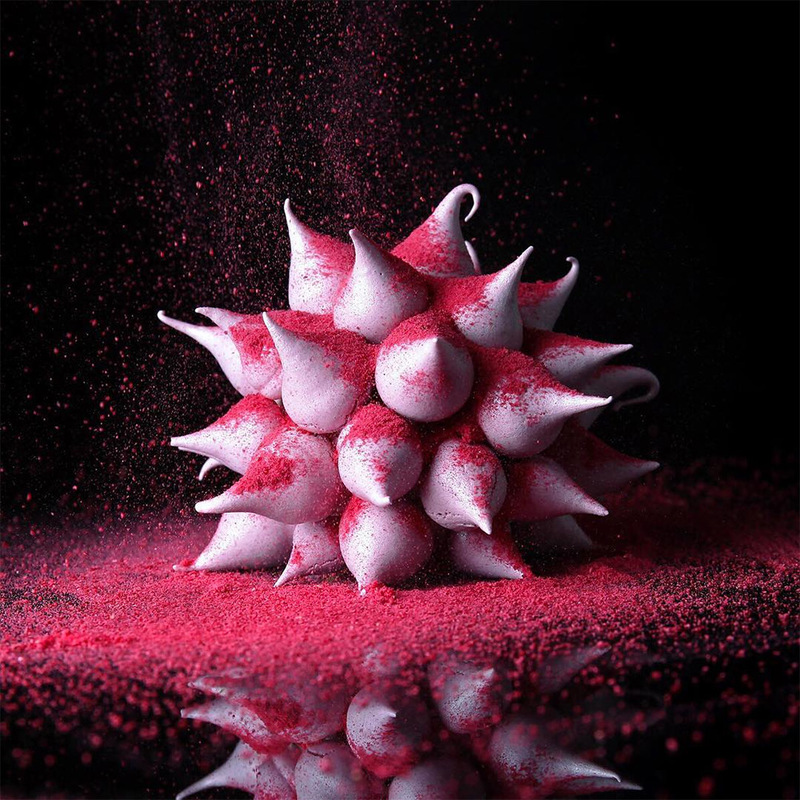 Her background as an architect, designer and 3D visualizer has fundamentally contributed to her unconventional approach to desserts and the methods used to realize her creations. 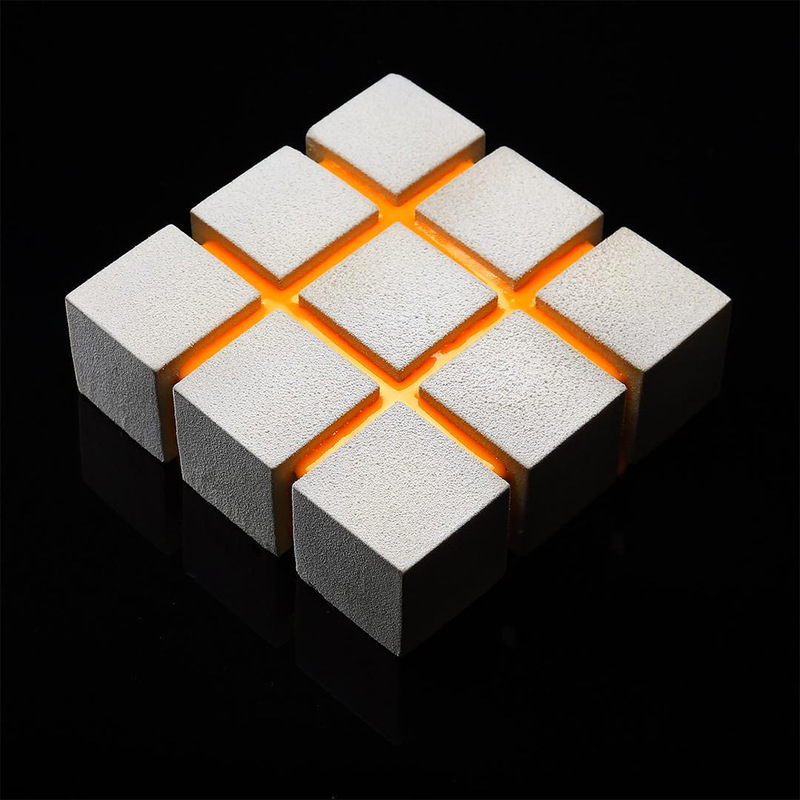 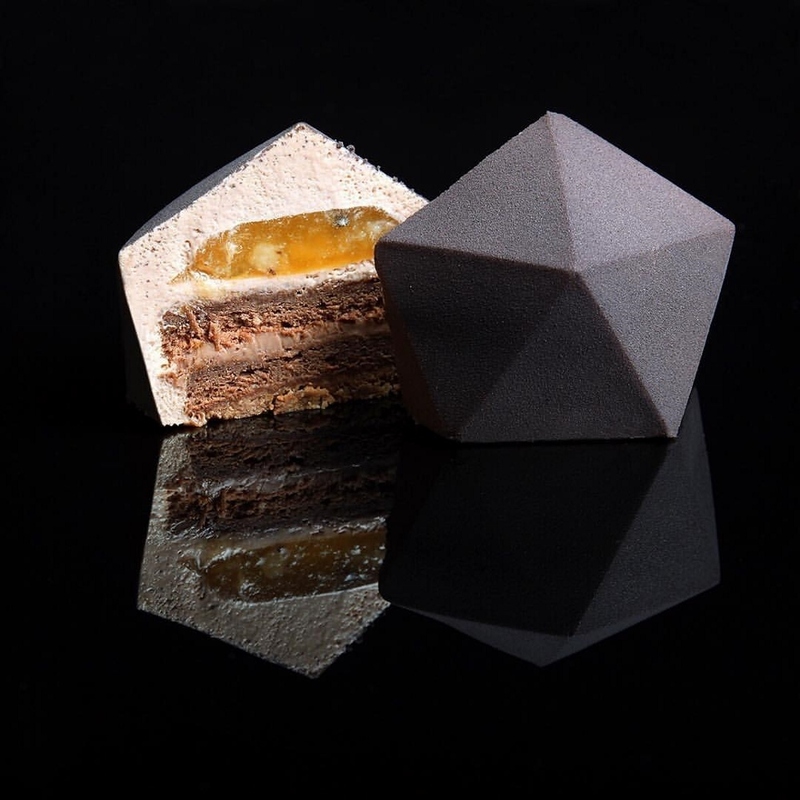 The Ukrainian pastry chef has been experimenting with geometrical and architectural concepts to create pastries that convey that architectural qualities of modern buildings, literally. 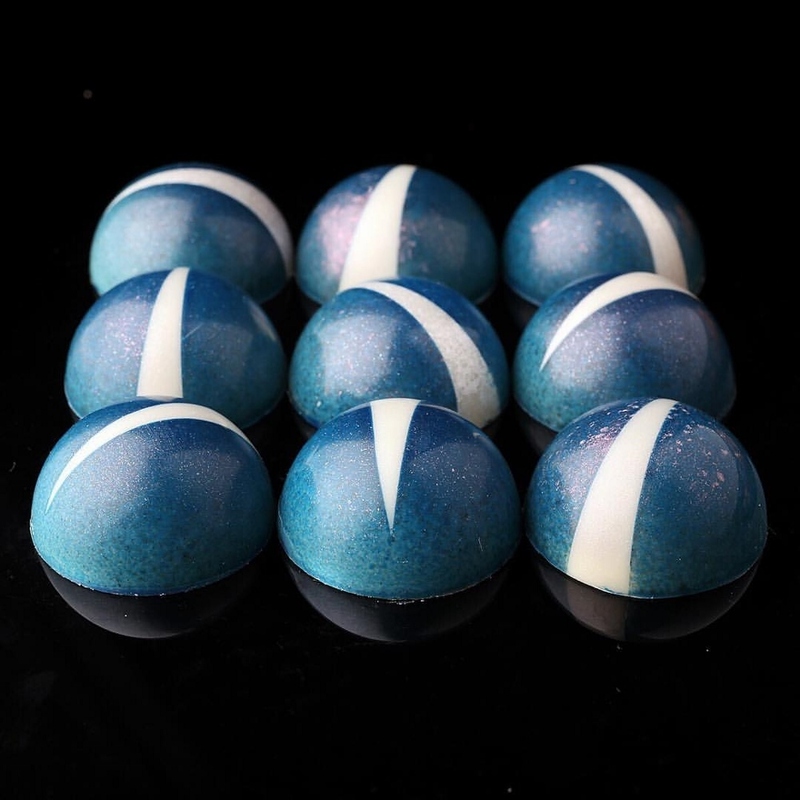 “From the moment I got into patisserie I decided to try and add something new to it. 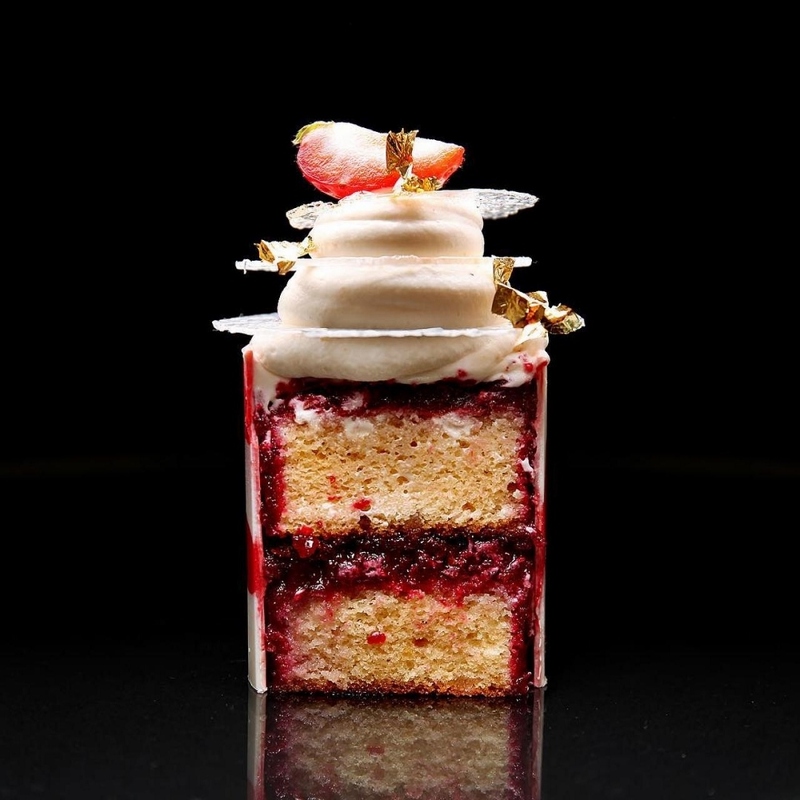 I immediately realized that the appearance is as important as taste” she says. 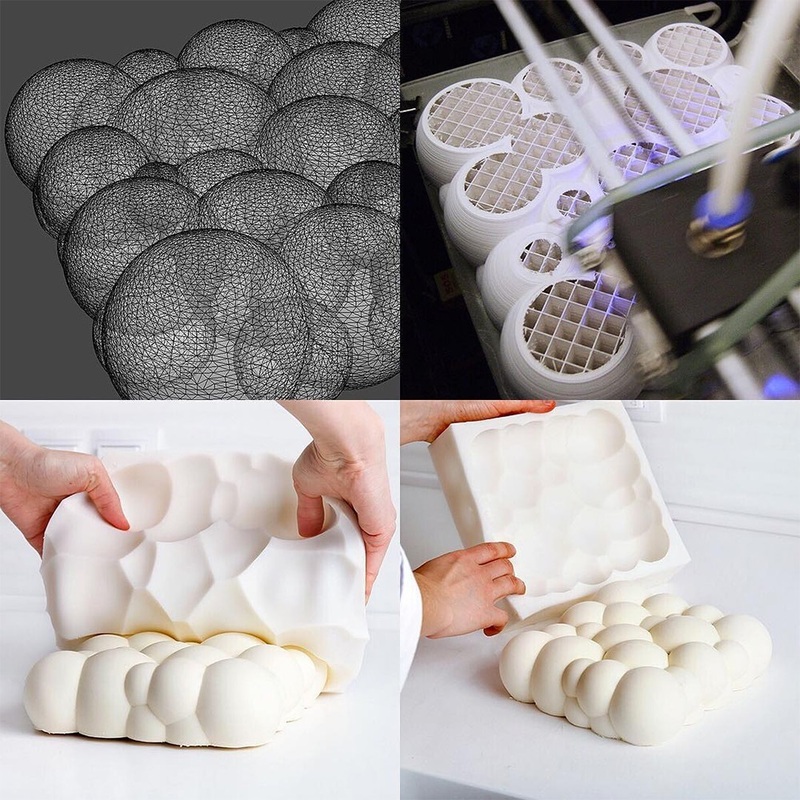 New technology has allowed designers to employ alternative methods of realizing their concepts, Dinara Kasko wanted to employ these same technologies to cooking and baking. 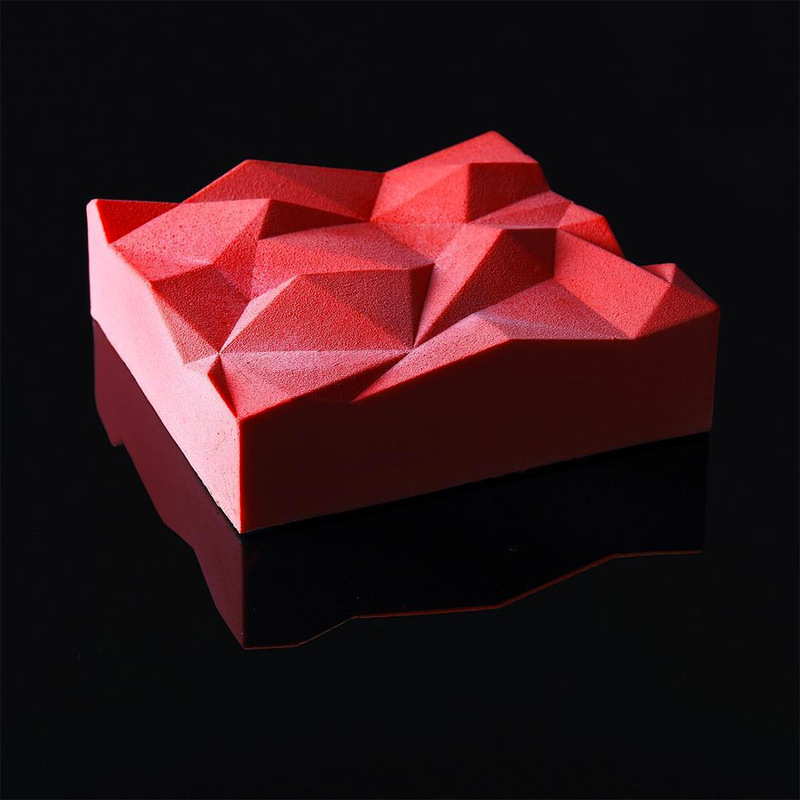 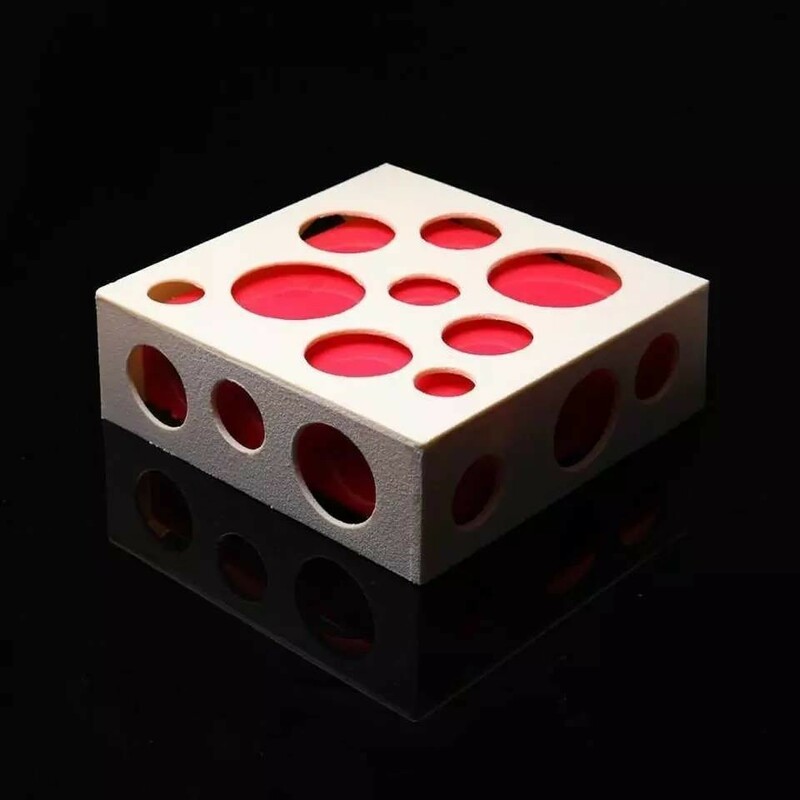 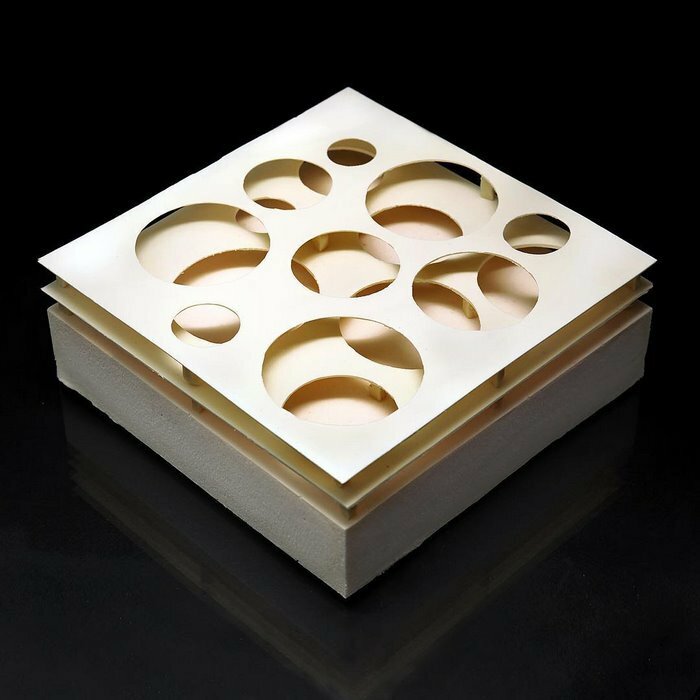 In order to embody to her creations certain architectural characteristics, she is using silicone molds modeled with Autodesk’s 3ds Max software. 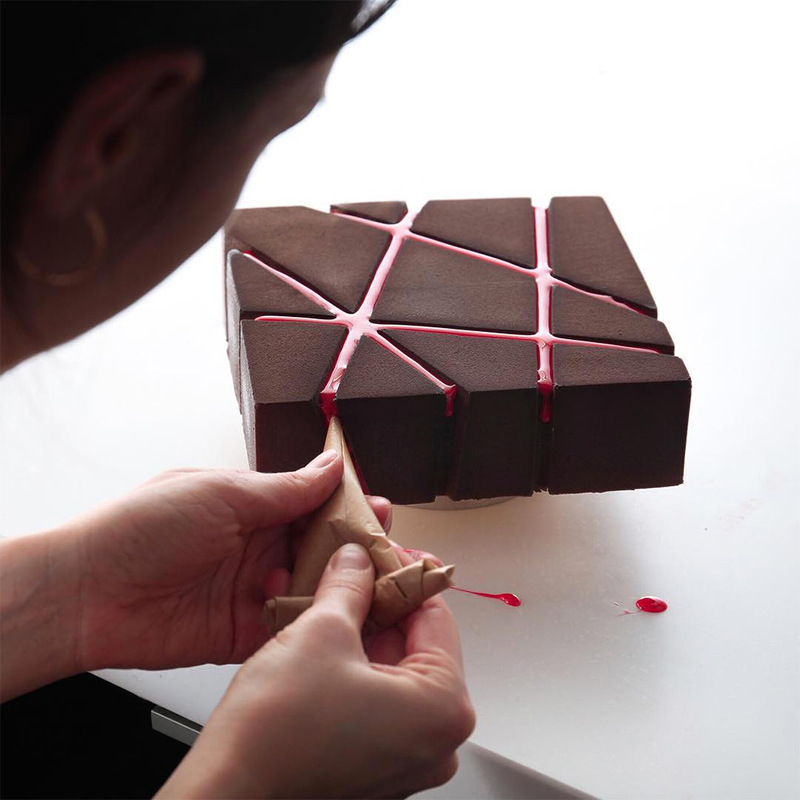 By combining this technique with precise piping, she can achieve clean lines and smooth surfaces. 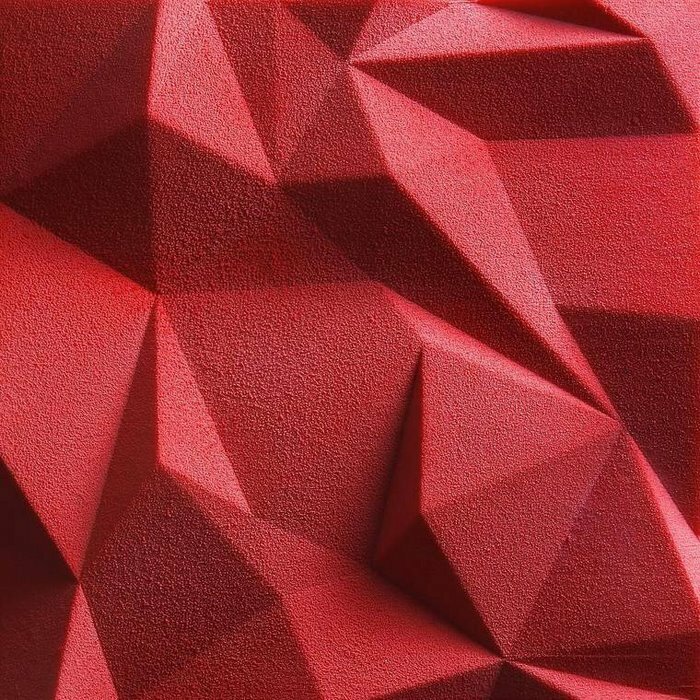 The main elements of her art pieces are “geometric primitives” like rectangles, circles, and triangles. 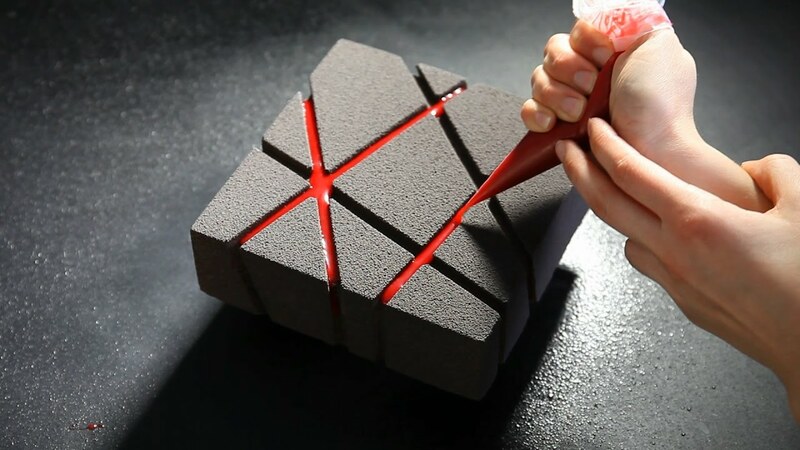 Her palette is mostly red, black and white. 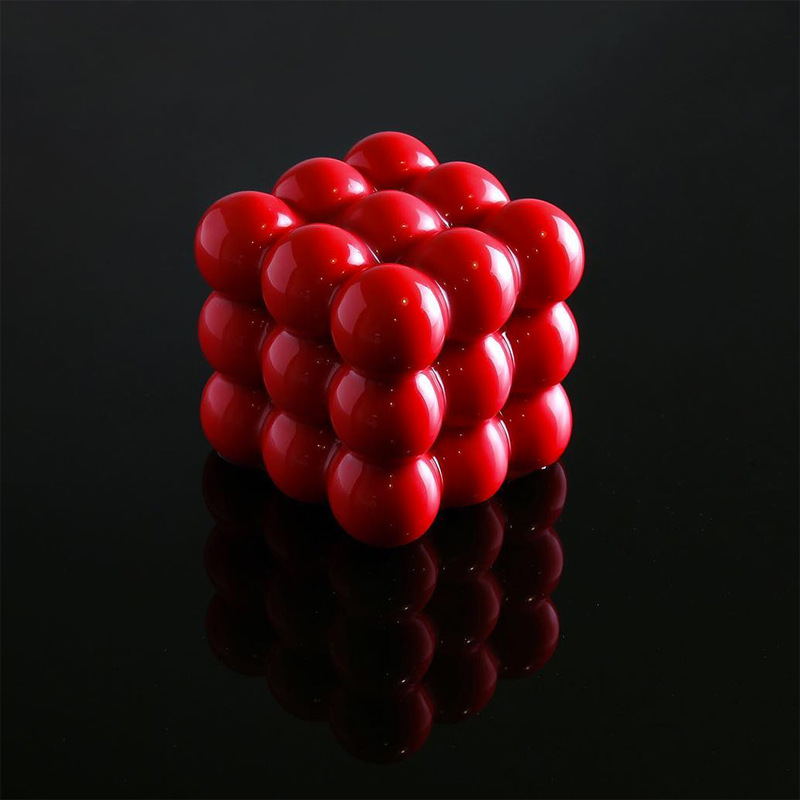 You can see mathematical concepts like the Voronoi diagram come to life in her creations. 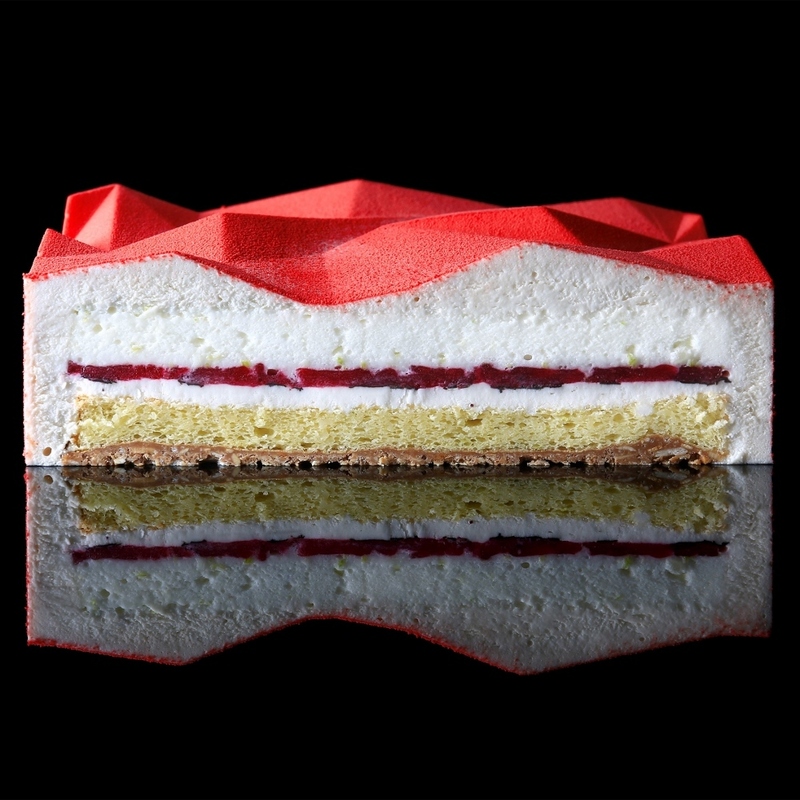 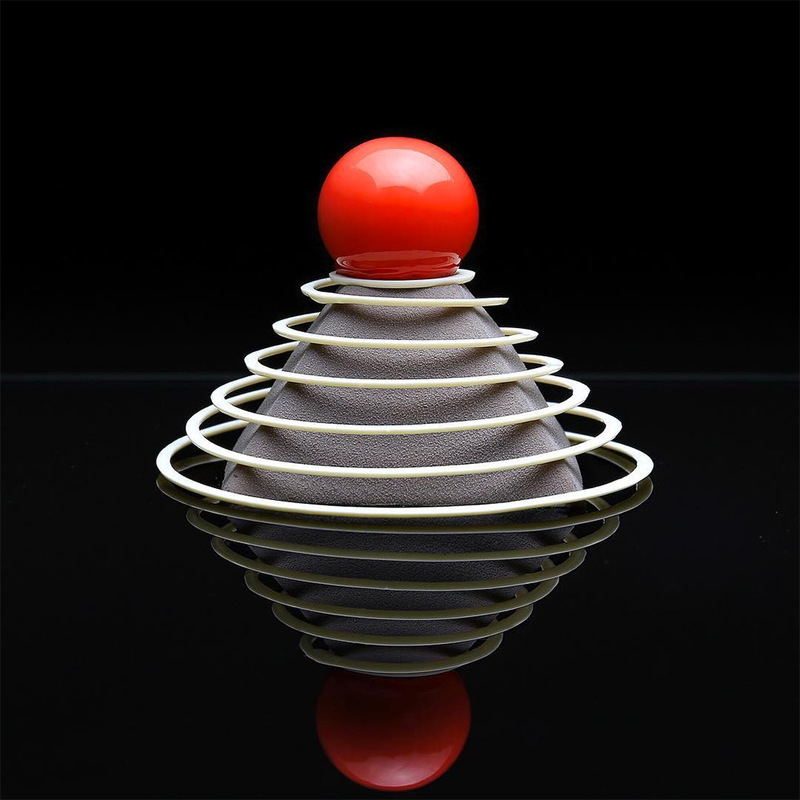 She balances form, color, architecture, proportion, and texture to create cakes that are like edible versions of the Guggenheim in terms of design and creativity. 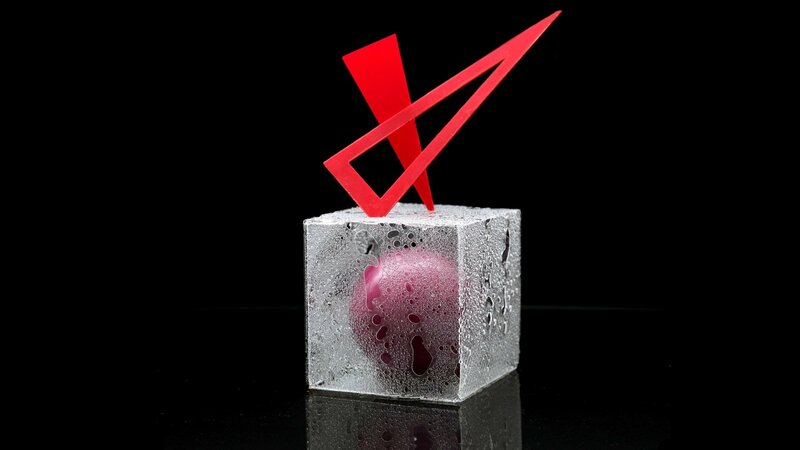 Of course, in addition to the unique appearance Kasko’s desserts also feature innovational ingredient combinations that produce unique flavors. 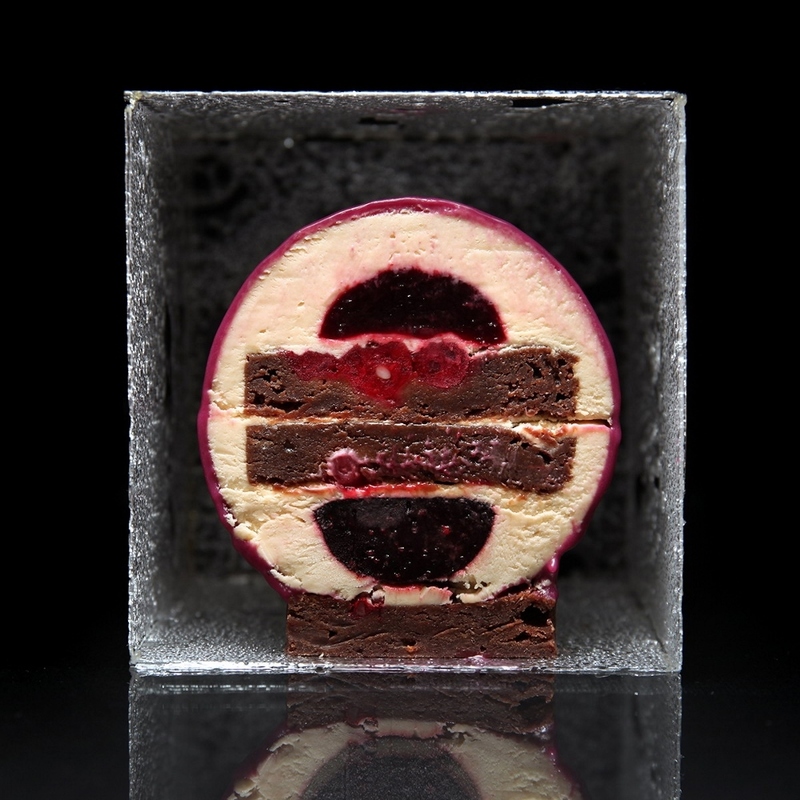 For example, one of her creations is Cake Bubbles, a dessert with layers of guava, mango, meringue and sponge, cocooned in a white chocolate bubble shell. 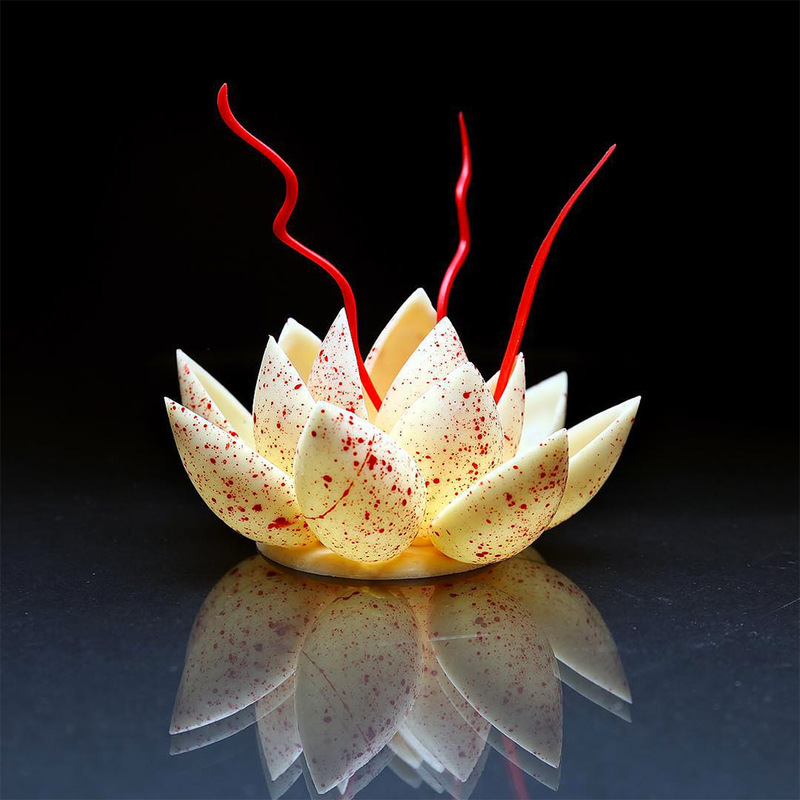 In essence, Kasko is baking exceptional edible art pieces. 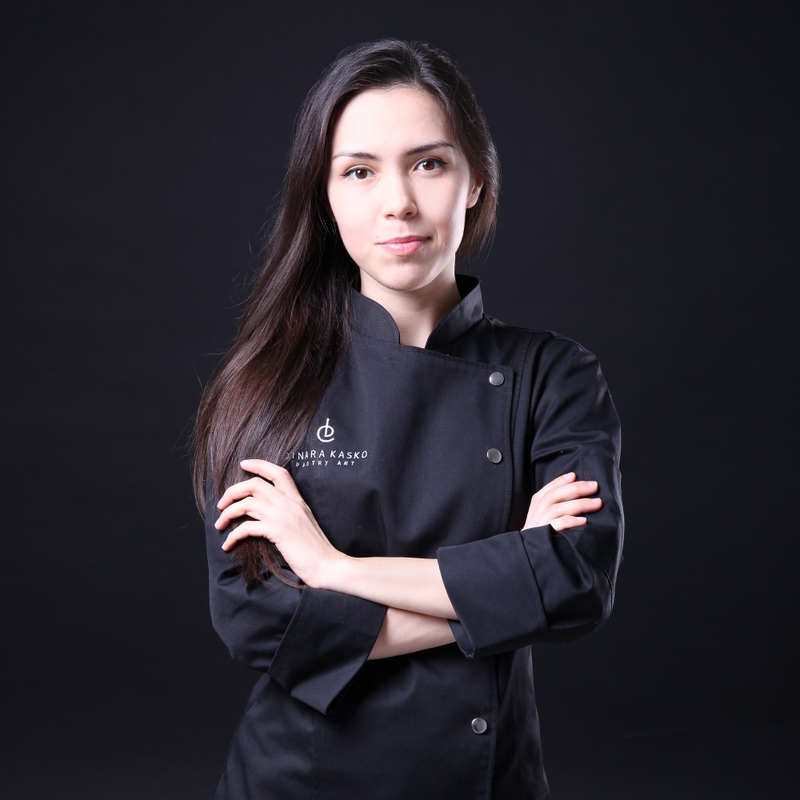 All of her compositions have a cinematographic vibe and a sharp soul, enjoy a selection of her best creation in the gallery below, or visit her official webpage here Dinara Kasko.